Welcome to the second Let’s Play this Monday as we look at some indie, point and click style adventures. After the madness of October and November we are upping the video content on MGL again. So i’m back with Daedalic Entertainment again, this time with Let’s Play Deponia on PlayStation 4. Where Silence is a more Telltale experience as I Found in My Let’s Play. 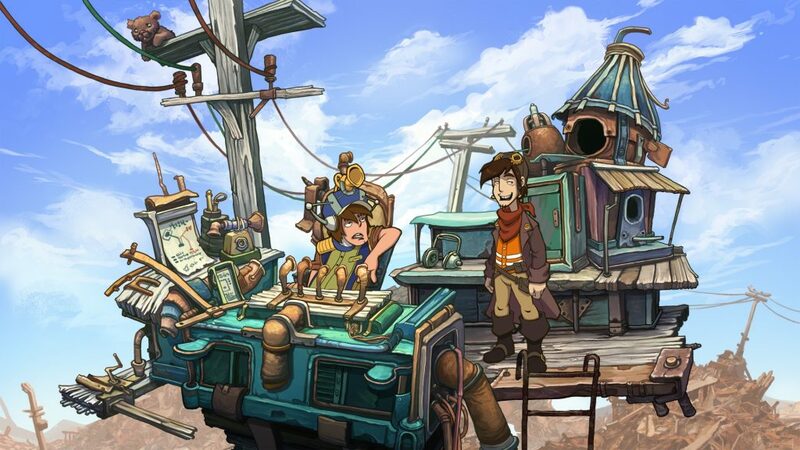 Deponia is a more traditional Point and Click game with nice hand drawn areas. Plus there is some good humor in there and some tricky puzzles to work out. There are Mild Spoilers as ever with a Let’s Play but this is the first 15 minutes of the game. Considering I solve NONE of the puzzles, there is very little spoiled! Watch it above on the website or check out the video below on the embed if you are viewing via one of the apps we feature on. I’ll read all of your comments so use Disqus, or Facebook Comments below to share your thoughts. Some information on this interesting game below along with a video link if you can’t see the featured video above via the website. Rufus is not a pleasant guy. Ill-tempered and entirely too convinced of his own greatness, he lives at the edge of a small settlement somewhere in the most remote sector of the garbage-covered planet Deponia. He dreams of a better life in the floating cities of wealth and beauty high above the planet surface.